All businesses are legally obliged to provide employees with a written employment contract setting out clearly the terms of their employment. Failure to do so can lead to misunderstandings and financial penalties. 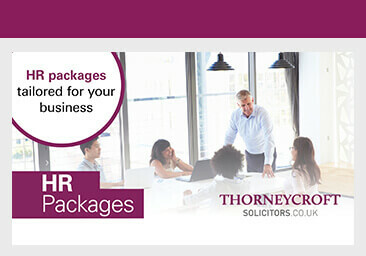 At Thorneycroft Solicitors, our employment team can help businesses to draft contracts to ensure they protect the business from future disputes and ensure they comply with current employment legislation. Our employment team will put together your staff handbooks. Importantly the policies in your handbook can be changed without need for agreement and, as your business evolves or there are changes to employment legislation, we will help you make the necessary changes.